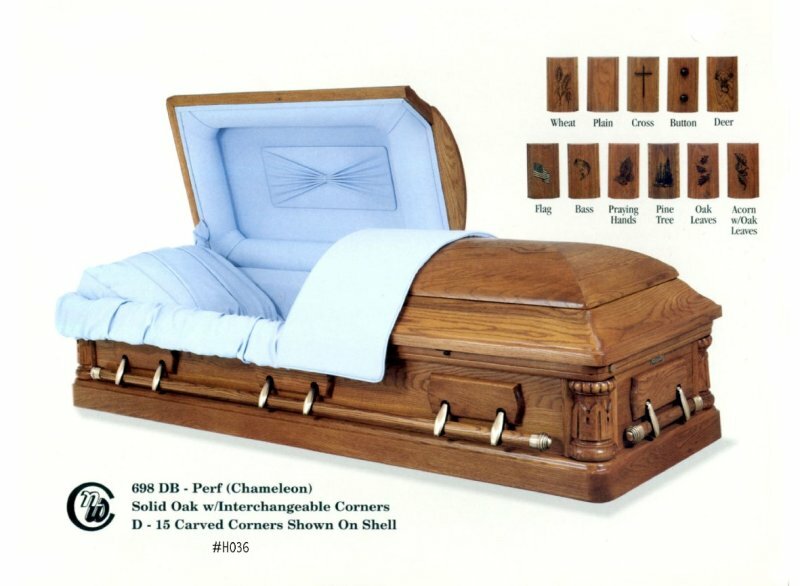 Caskets are available in wood and metal. 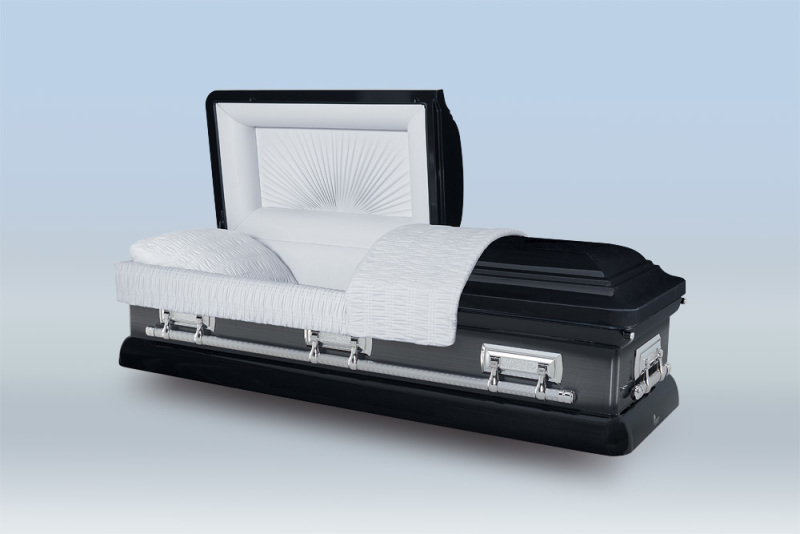 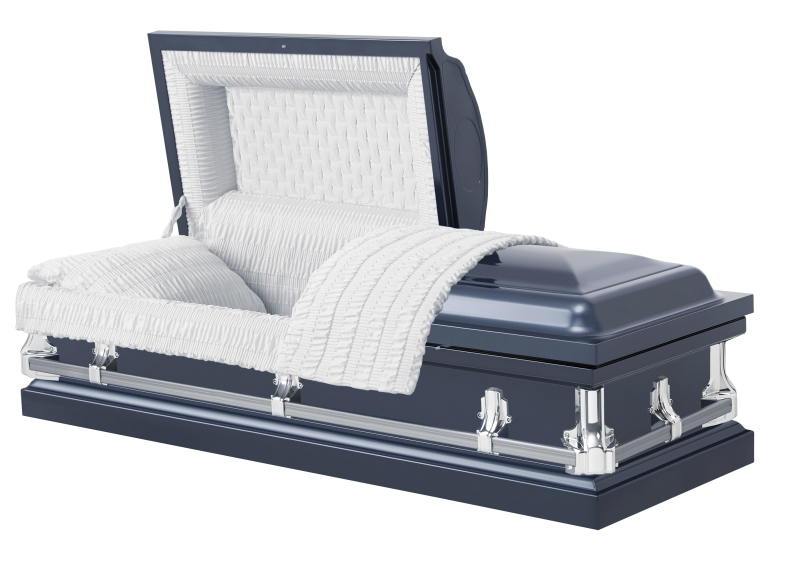 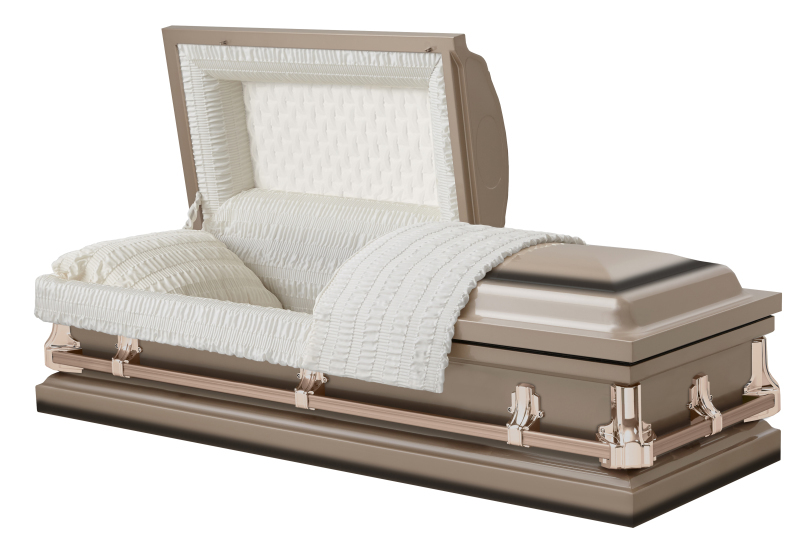 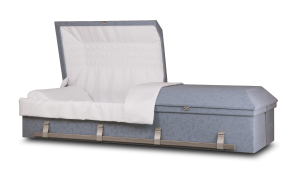 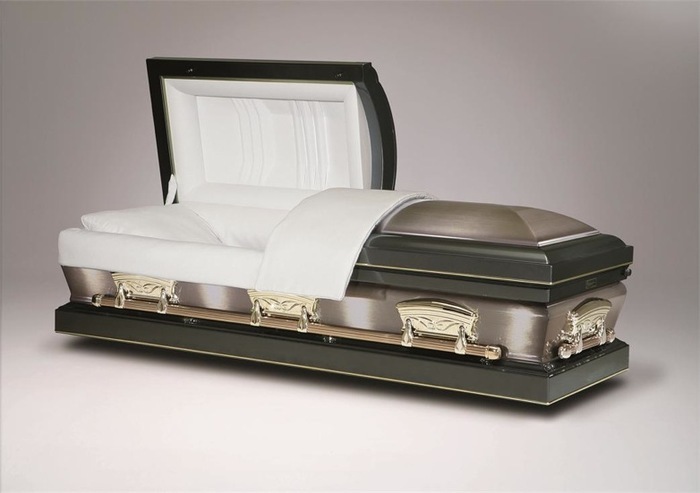 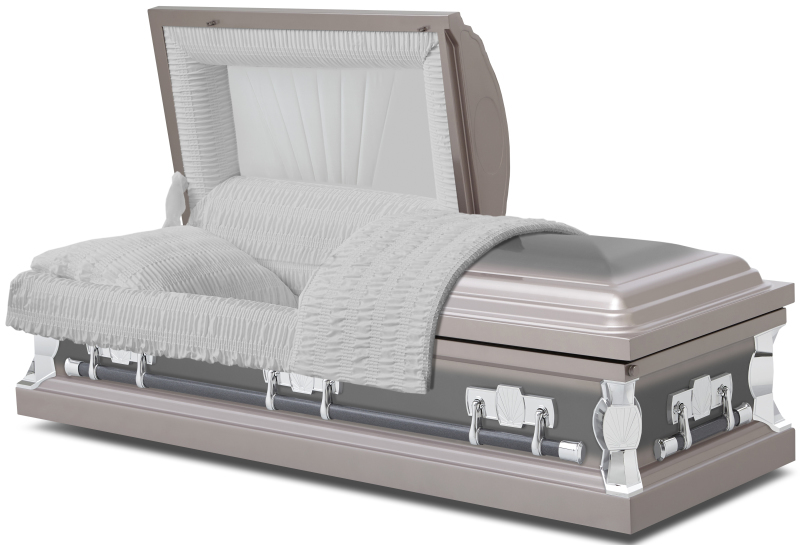 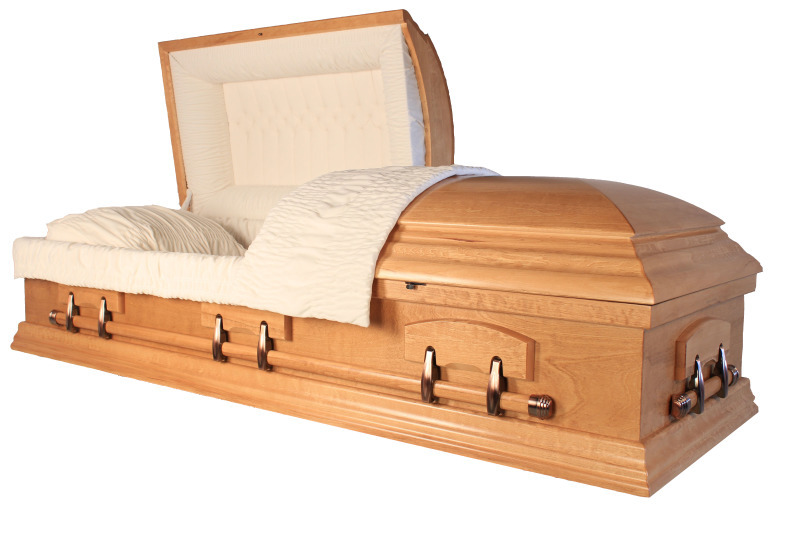 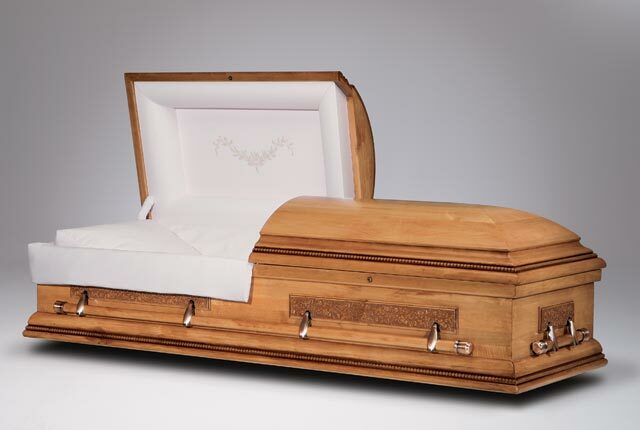 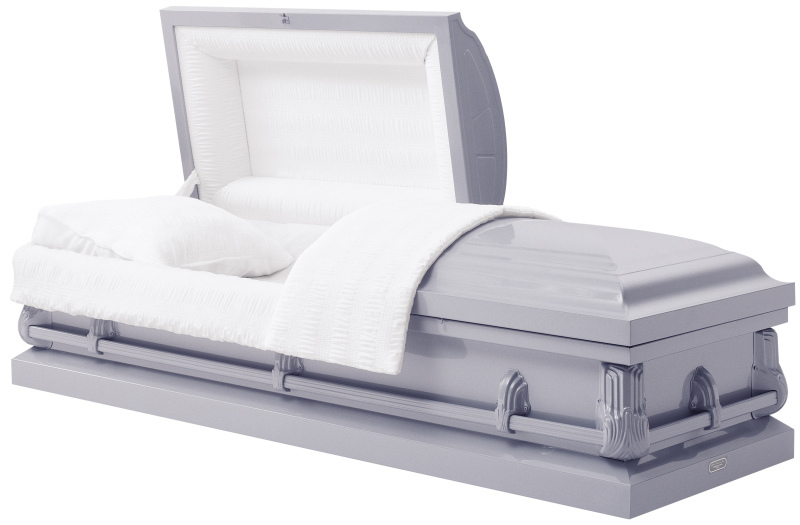 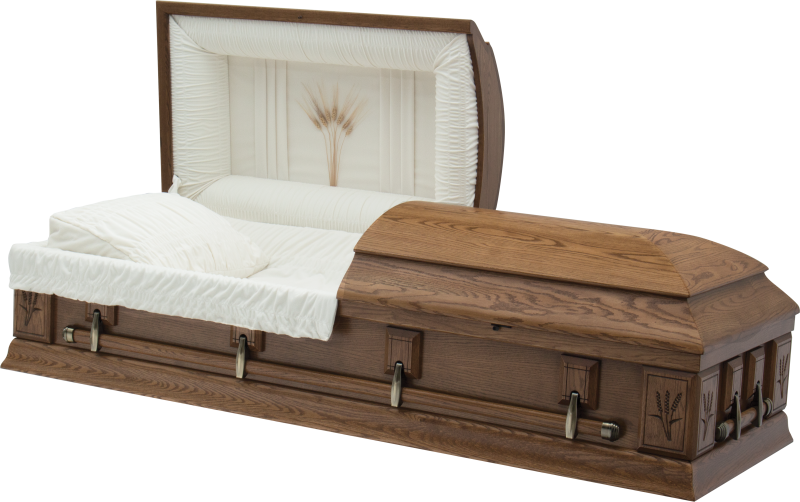 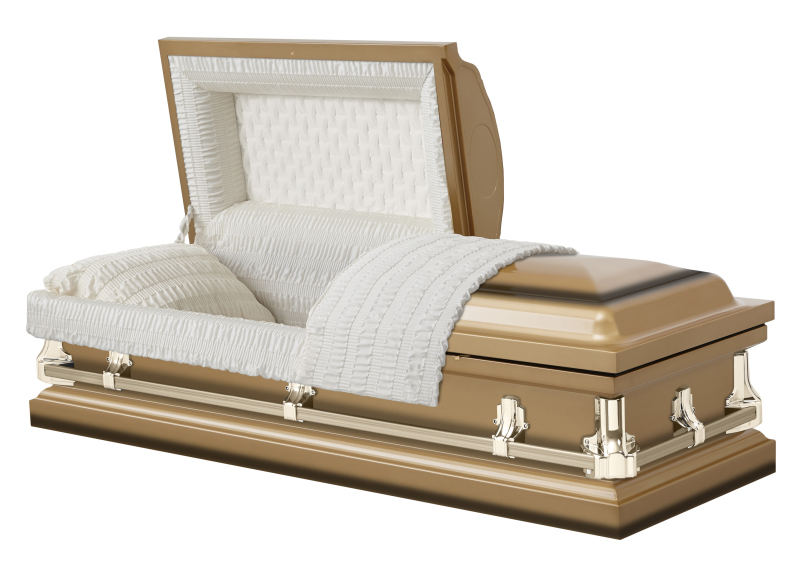 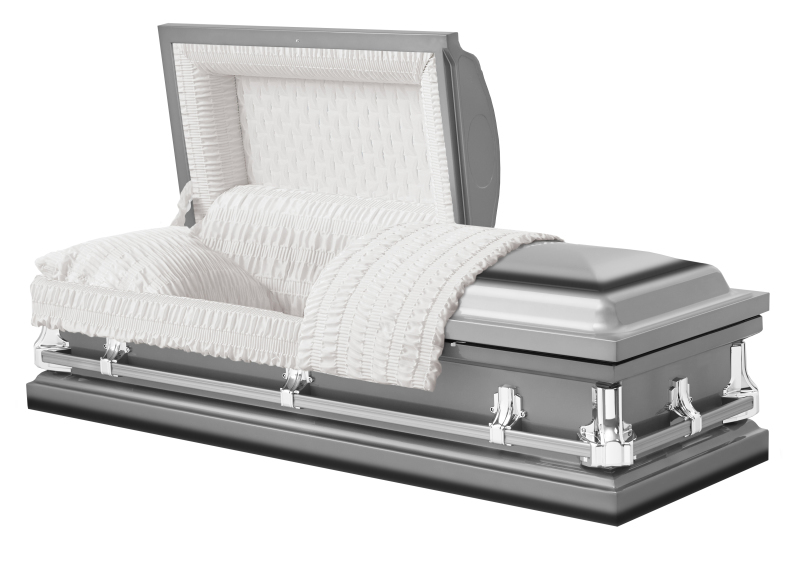 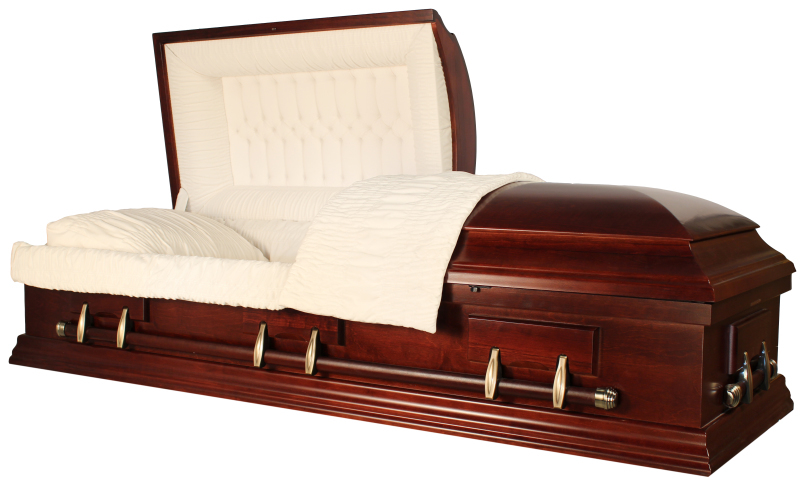 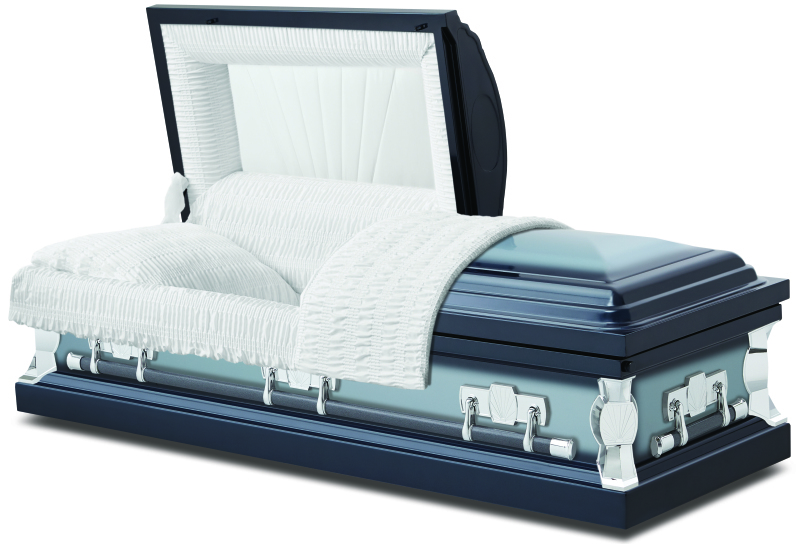 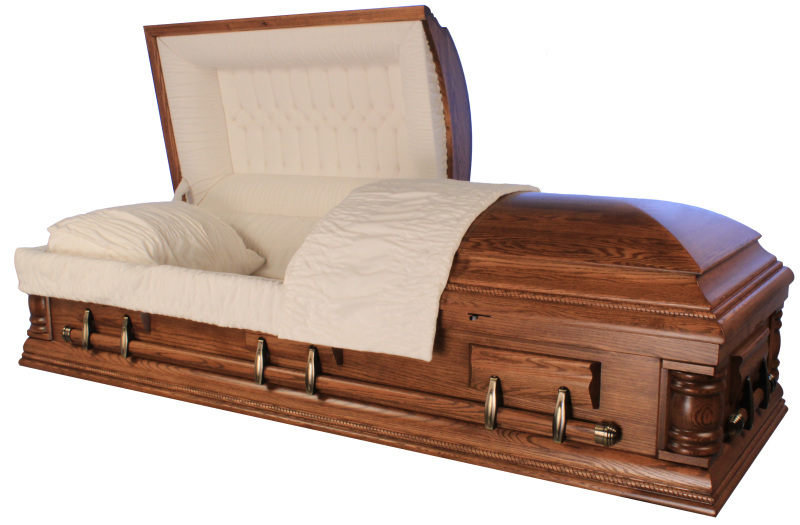 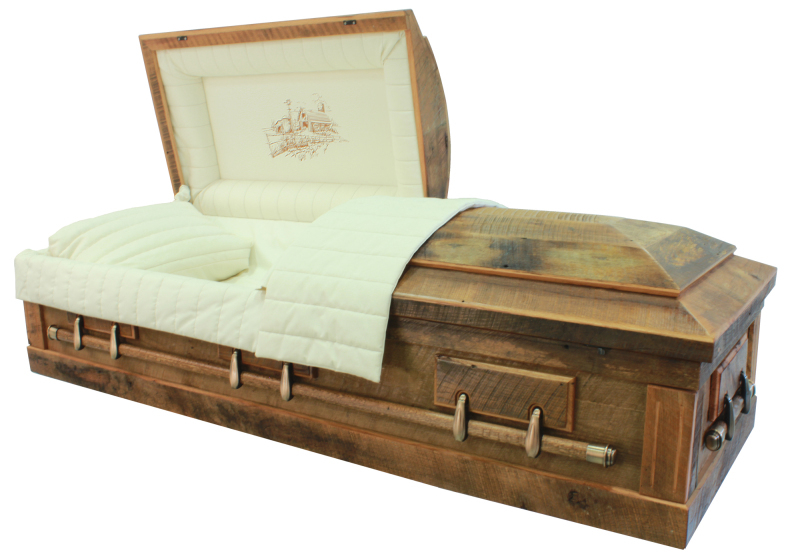 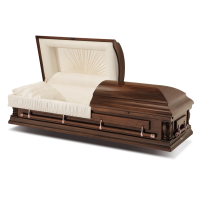 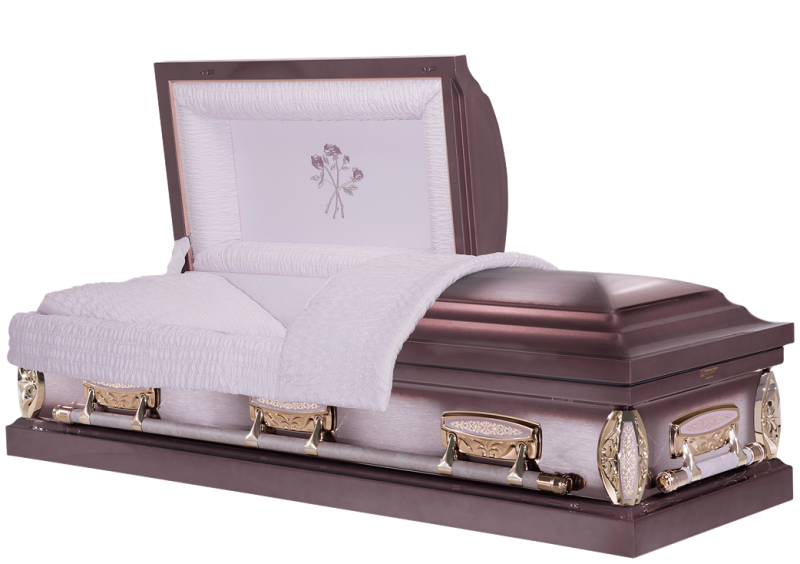 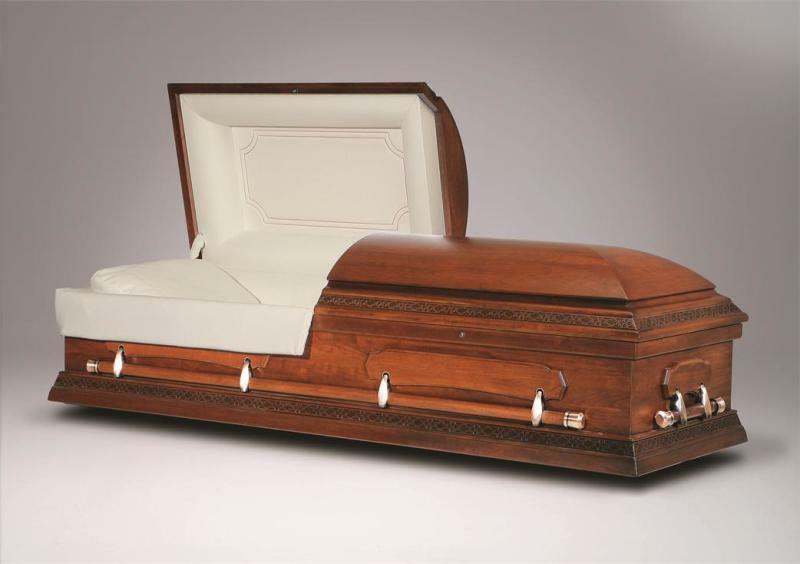 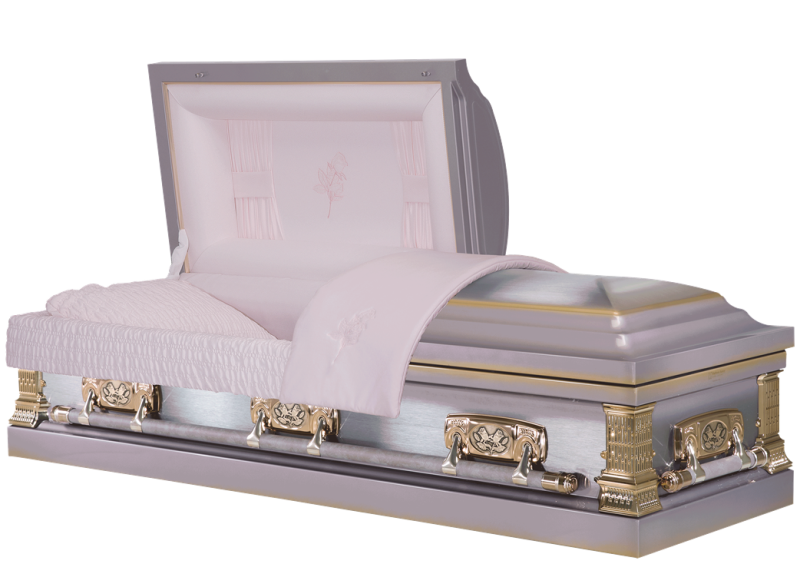 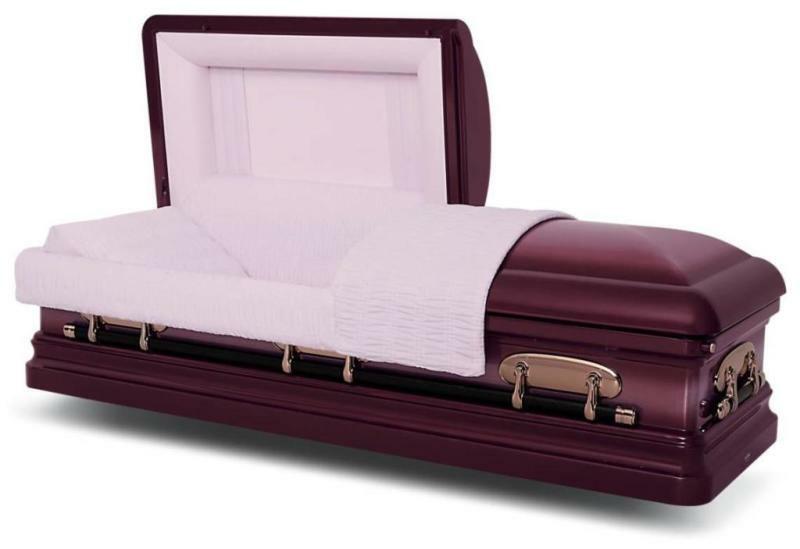 Wood caskets consist of oak, maple, walnut, poplar, pine and engineered product among others. 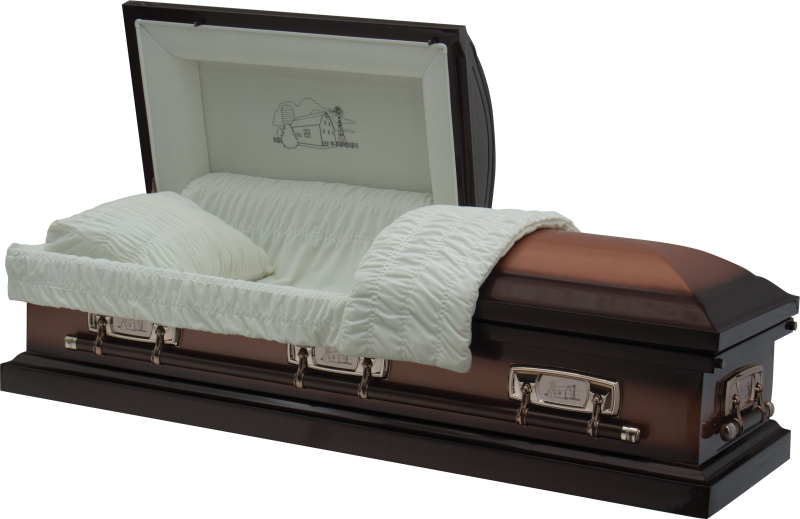 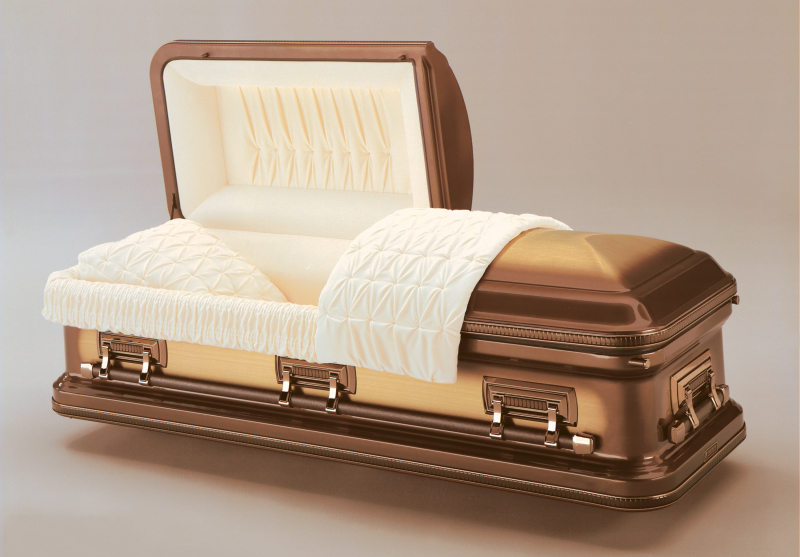 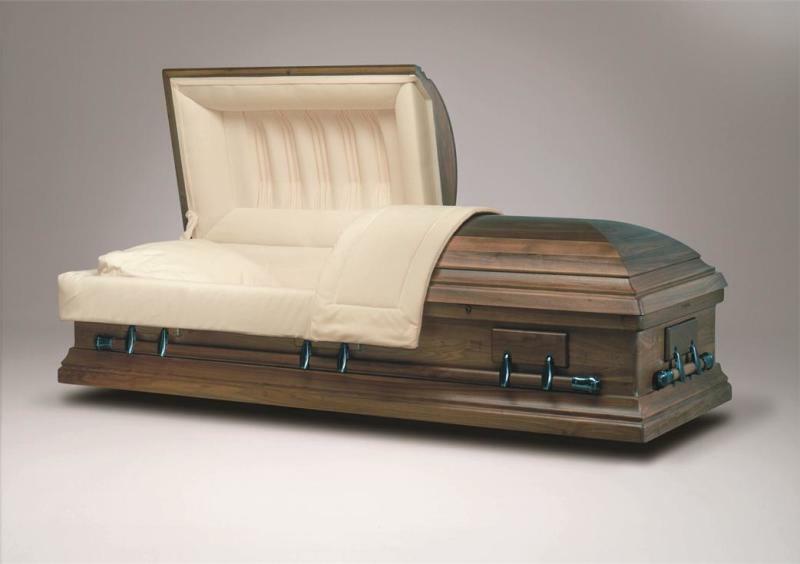 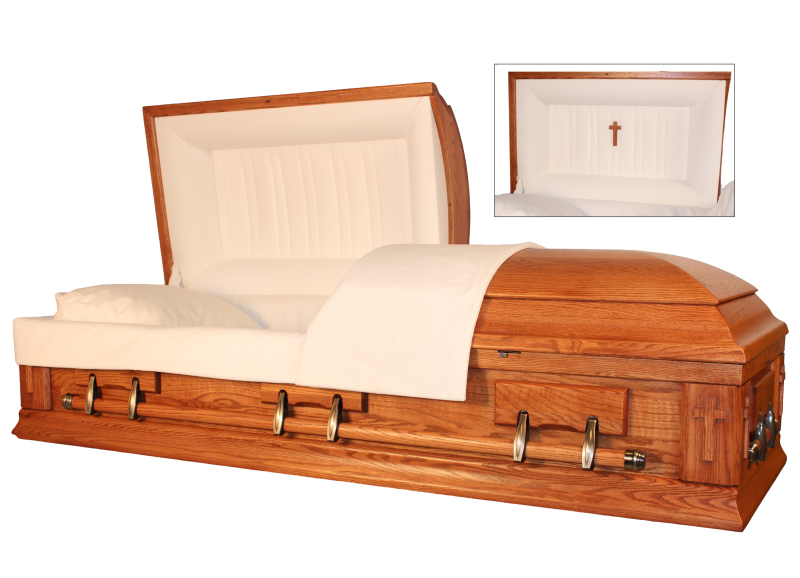 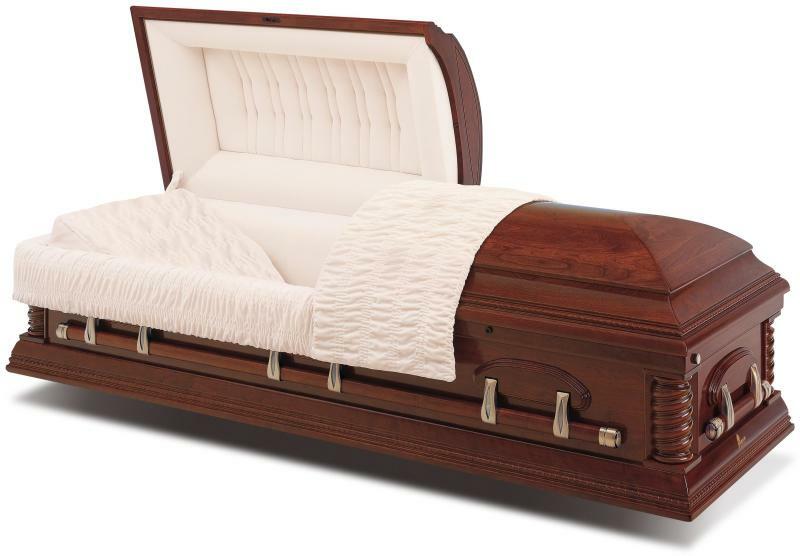 There are also many caskets that are made with veneers which results in a cost savings to the family over solid wood. 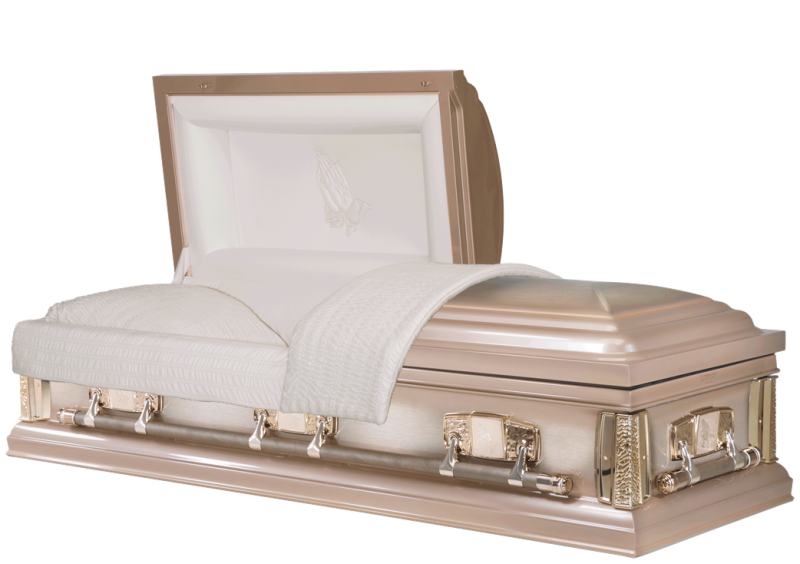 Metal caskets can vary greatly from 20 gauge steel on the minimum side through 18 ga steel, 16 ga steel and stainless steel along with the precious metals of copper and bronze. 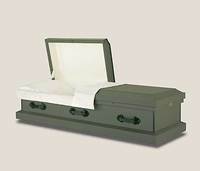 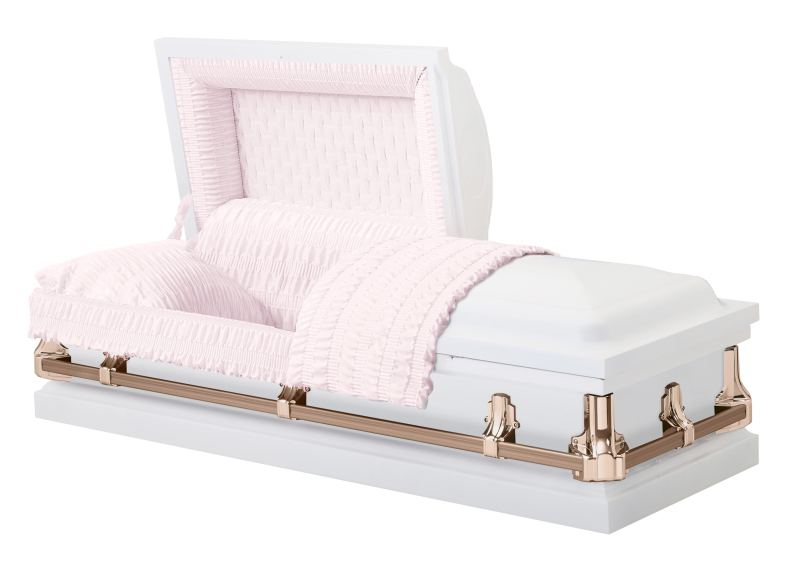 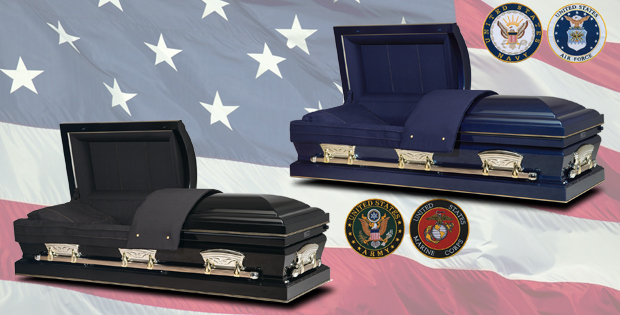 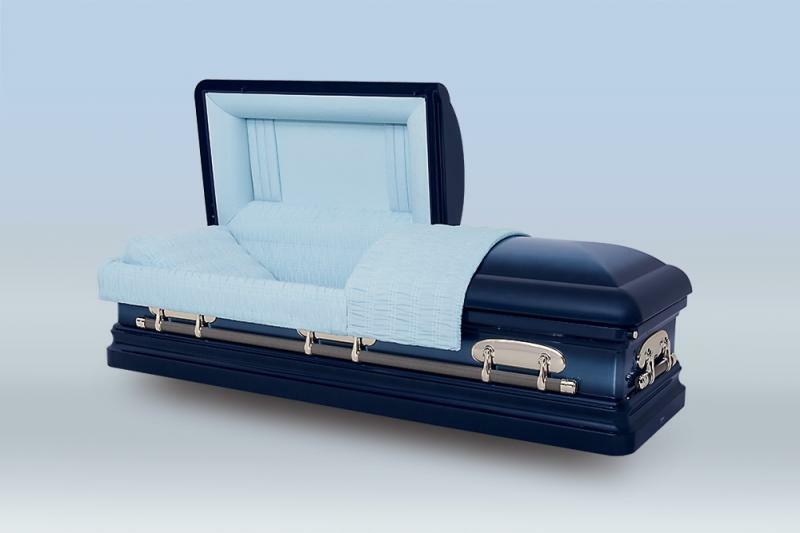 Our caskets start at $965for a cloth fiber board and $1165 for a basic metal. 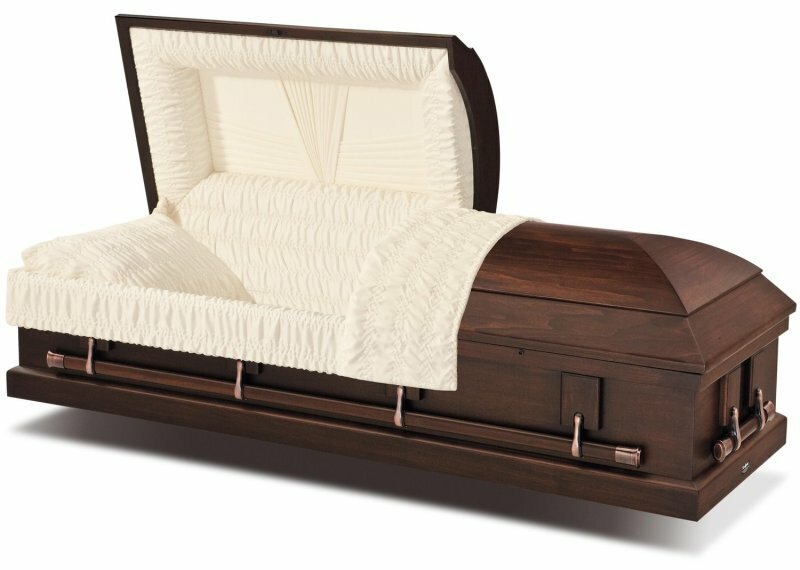 Our most commonly selected wood casket is a veneer oak which is $3465 while the most commonly selected metal caskets are $2965. 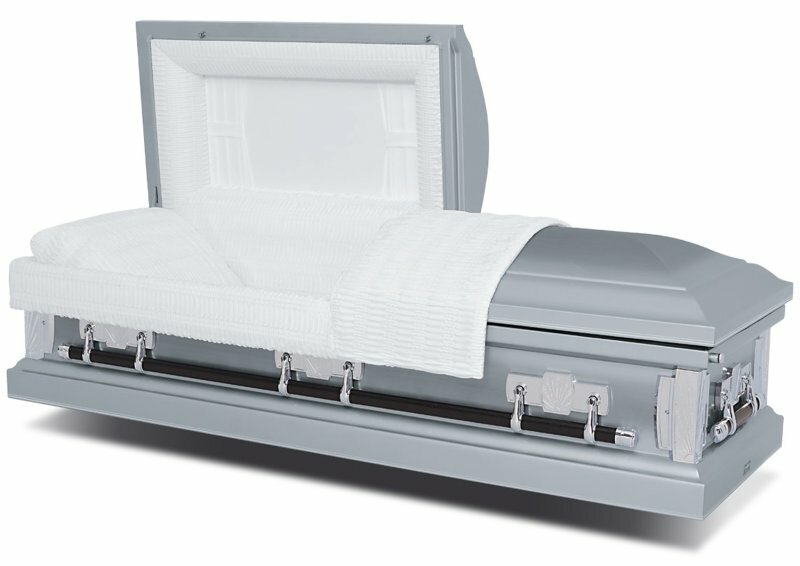 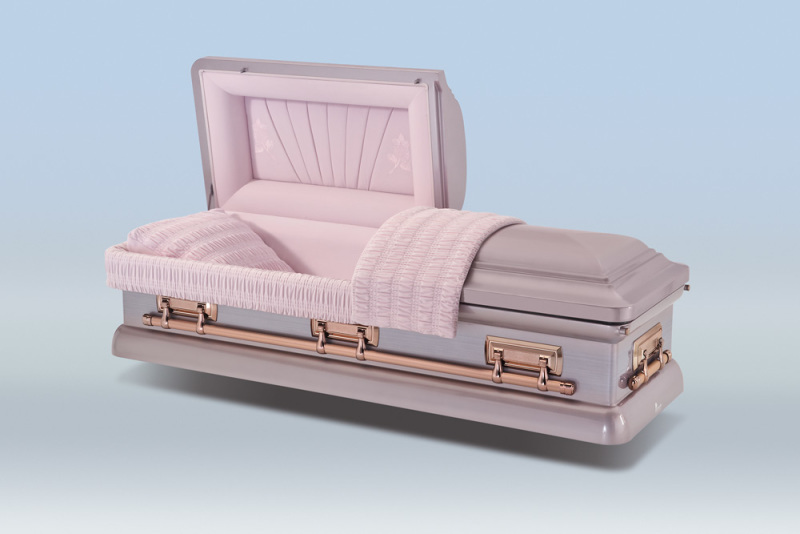 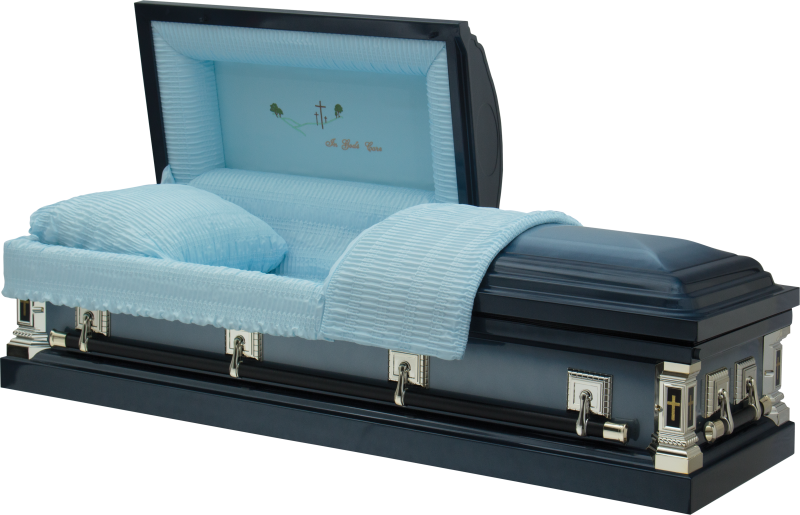 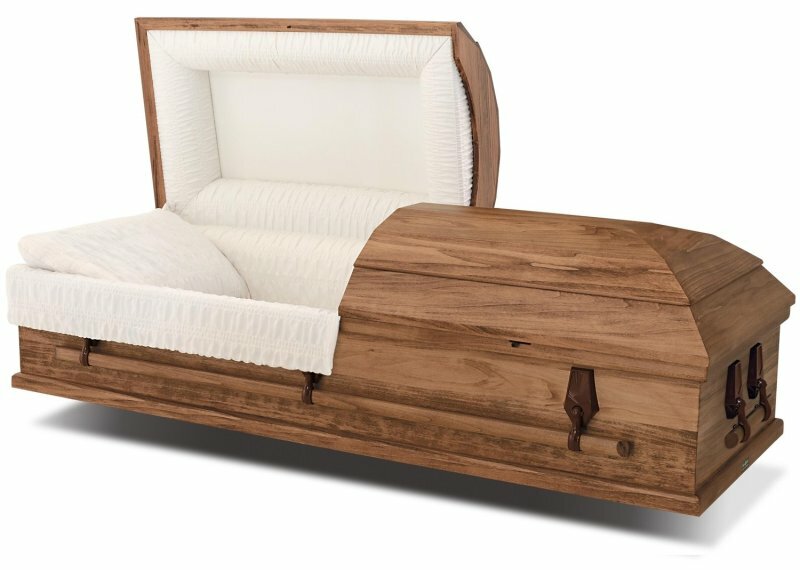 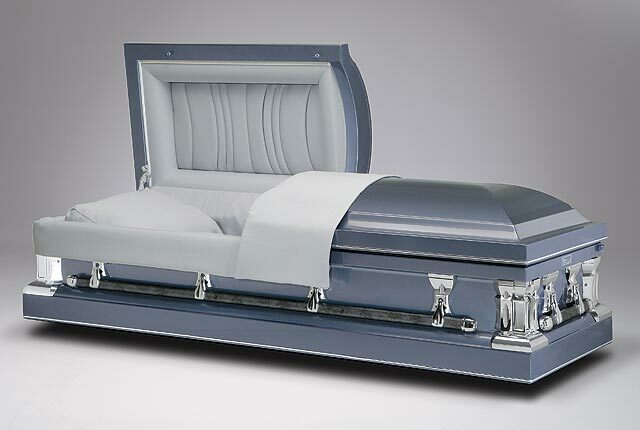 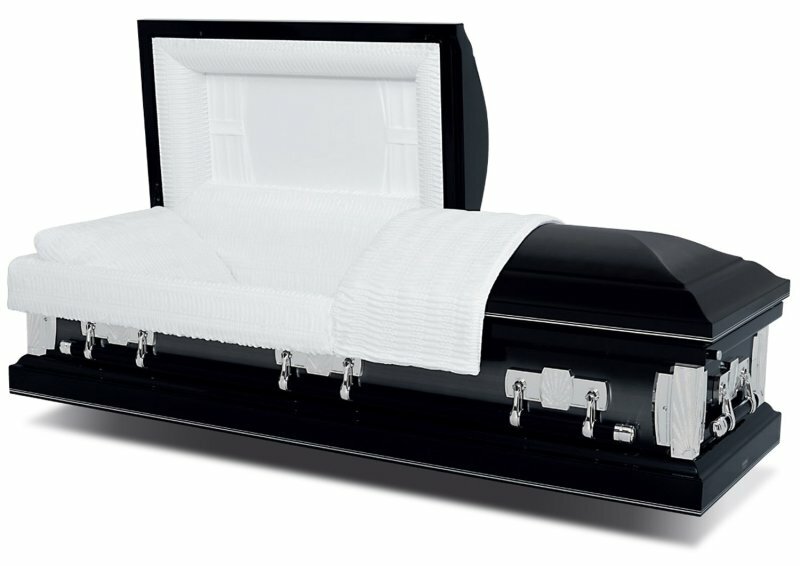 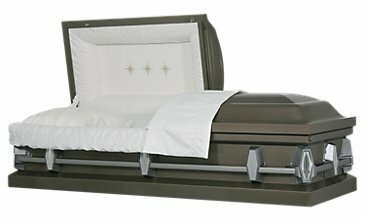 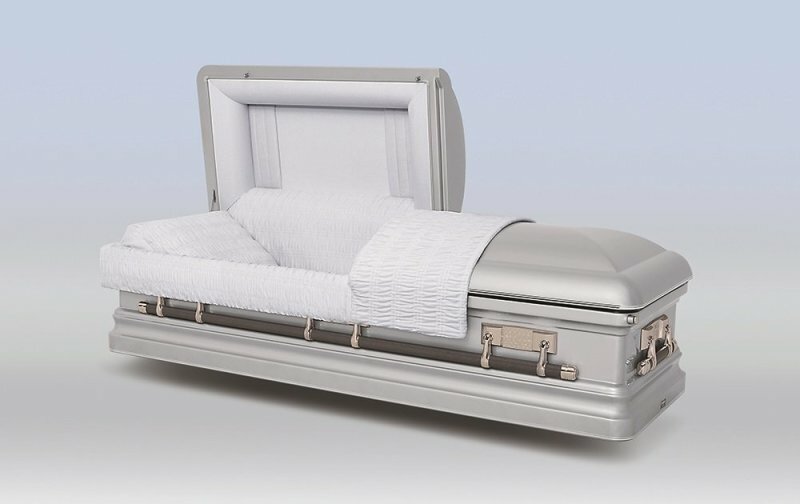 We offer caskets in all price ranges – in our selection room we have a large screen computer where we can show families nearly 100 options if what we have in house is not suitable.